To use your domain in the Internet, you need to configure nameservers. The nameservers are needed to resolve the domain names into IP addresses. We recommend to use our nameservers (ns1.contabo.net, ns2.contabo.net, ns3.contabo.net) for your domains. We provide redundant servers in different data centers and you can easily manage your DNS zones over the customer control panel. But for several reasons it can be necessary to use your own nameservers. 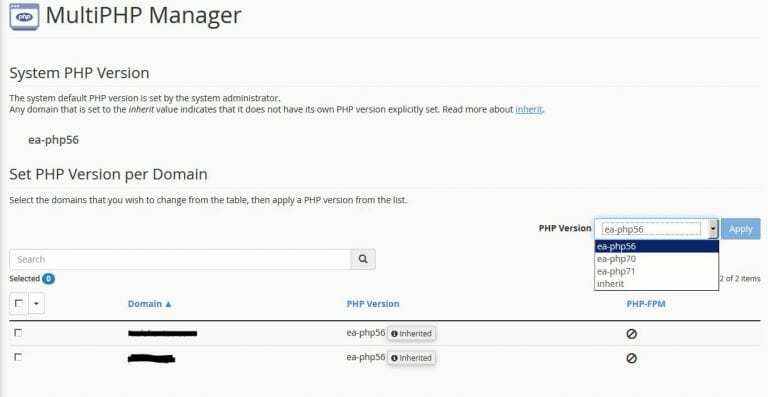 This tutorial provides short instructions how to manage your own nameservers with cPanel and Plesk. For most domains extensions (TLD), it is necessary to use at least two different IP addresses for two different nameservers. In this tutorial we are going to use the domain "yourdomain.com" and want to use the nameservers "ns1.yourdomain.com" and "ns2.yourdomain.com" with the IP addresses "1.1.1.1" and "2.2.2.2". To use an additional IP address for a second nameserver, you will need to add the IP address in WHM at "IP Functions" - "Add a New IP Address". 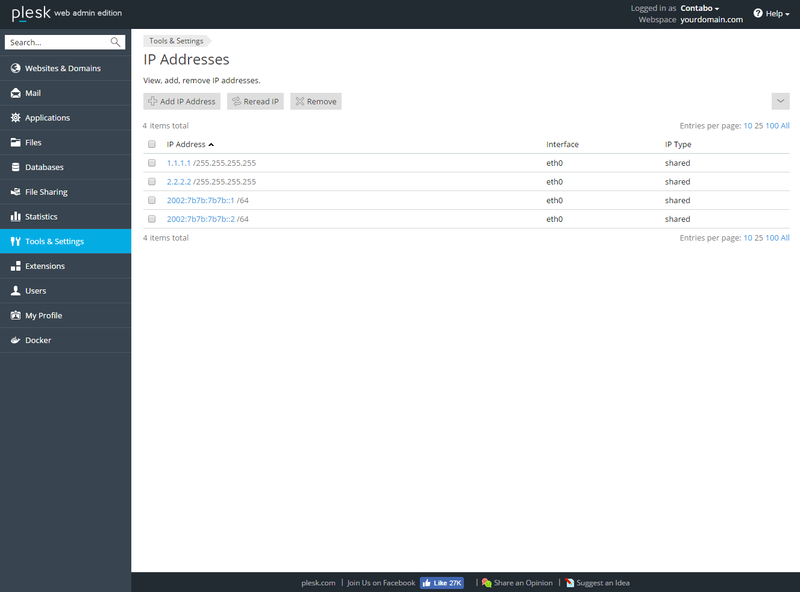 The DNS server will be accessible on all configured IP addresses on your server. 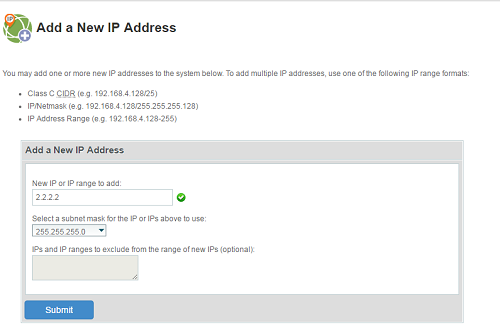 You can use different IP addresses for the nameservers than for your website. 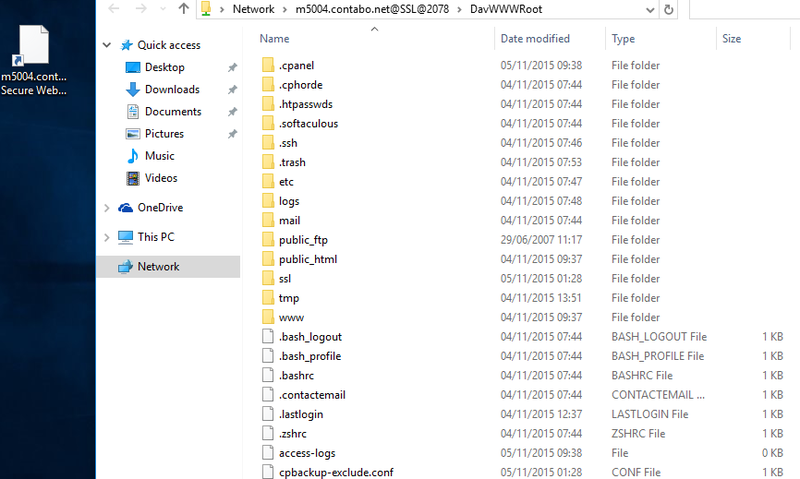 To use the nameservers with your domains, you will need to add them in WHM at "Server Configuration" - "Basic Webhost Manager® Setup". At the end of the page you can enter the nameserver you would like to use. 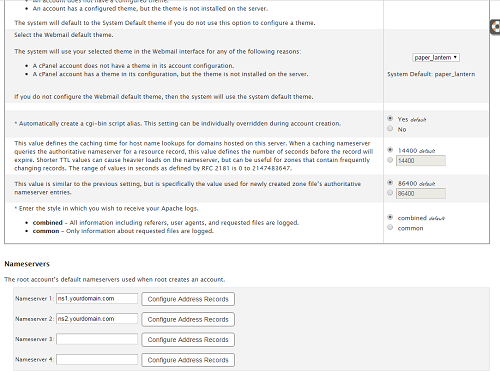 After you entered the nameserver, you need to select "Configure Address Records". 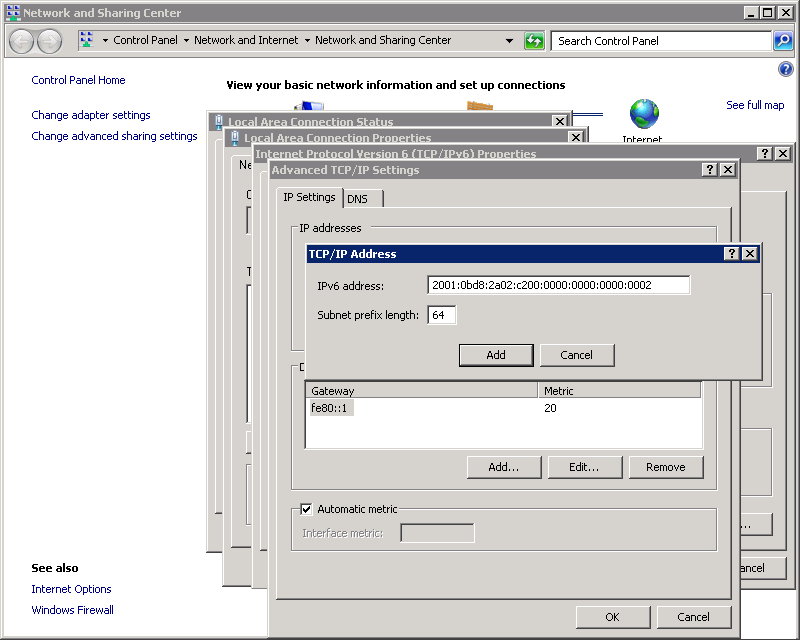 Please enter the IP address you want to use for this nameserver and press "Configure Address Record". After this is finished you can close the windows using "Close". Please note, that in some conditions -- for example if the nameservers are currently configured on a different server -- the entries for the nameserver will not be updated immediately. After you have finished, please press "Save changes". 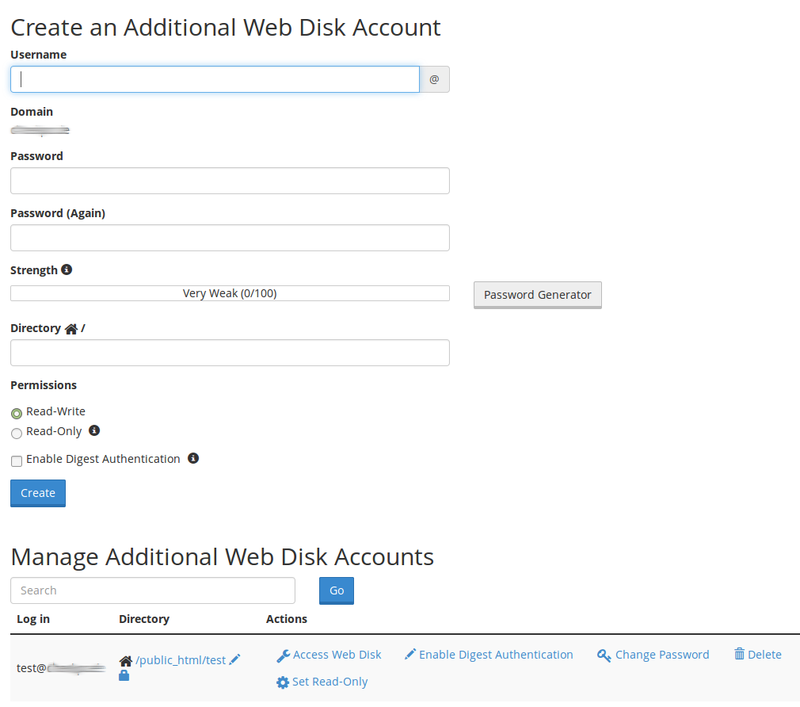 Now you can "Create a New Account" with your domain at WHM - "Account functions". The configured nameserver will be used in the configuration of your new account and the DNS zone will be created with default values. You can see all DNS entries at WHM - "Edit DNS Zone". On this page you can manage all DNS entries of your domain. Most entries are for internal usage and should not be changed. 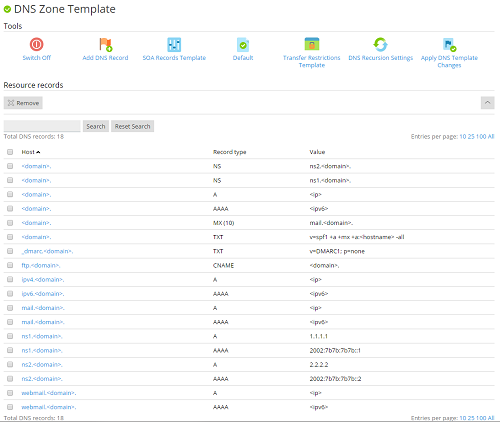 To manage user defined values, we recommend to use the "Zone Editor" at "Domains" in the cPanel account. 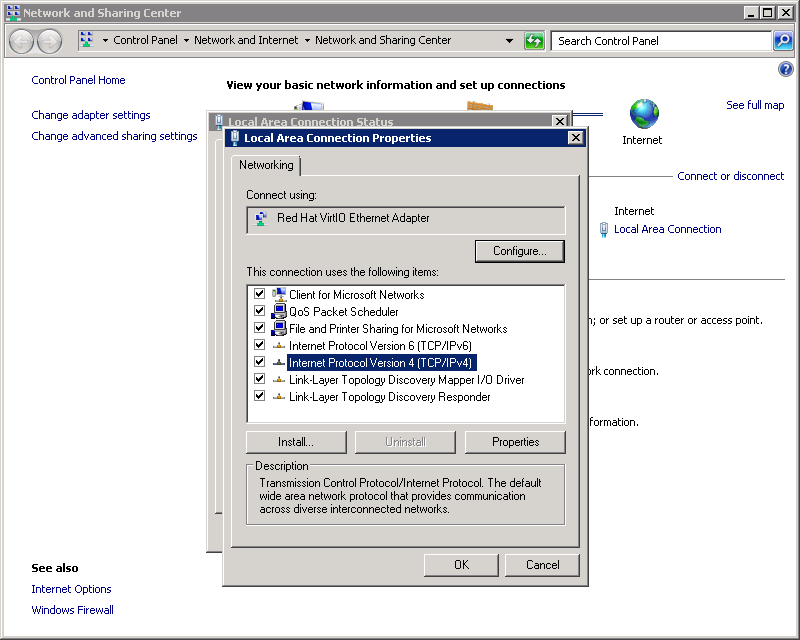 At last, you will need to configure your domain settings at your domain registrar. You need to change the nameserver entries. 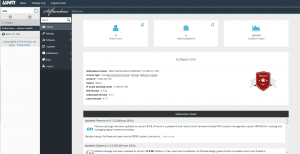 If you want to use subdomains of your domain, for example "ns1.yourdomain.com" for your domain "yourdomain.com", you will need to configure so called "Glue Records". This means, the domain registrar does not only save the name of your nameservers, but also the IP address. In some cases it is required to configure the new IP addresses for the nameservers at the current DNS zone of your domain. After you have finished the configuration, it can take up to 24 hours until the new settings are propagated correctly. To test your nameservers and the name resolution for your domain, you can use tools like intoDNS. 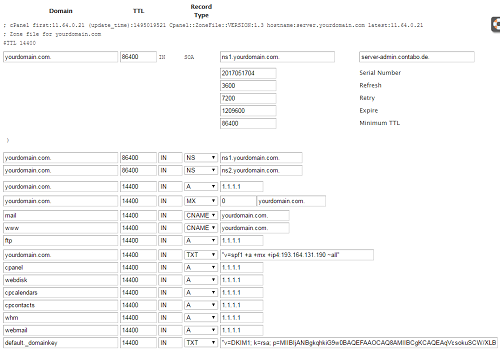 This tool will test the settings at your DNS provider and of your nameservers. 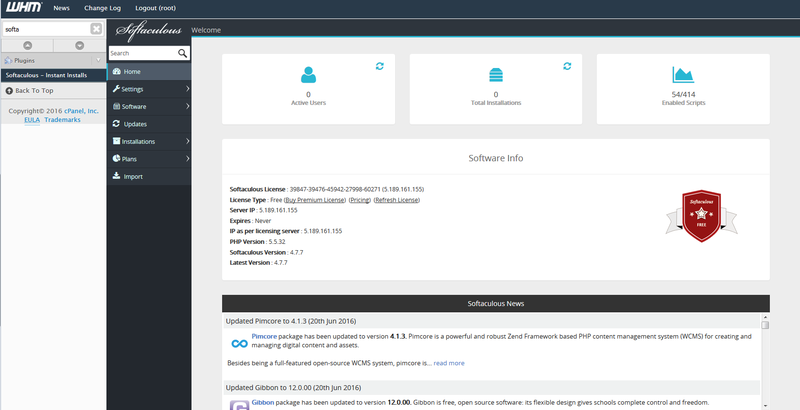 At first you will need to create your domain in Plesk. At "Websites & Domains" you can see an overview of your domains. To use a second IP address for your nameservers, the IP address needs to be configured at "Tools & Settings" - "Tools & Resources" - "IP Addresses". 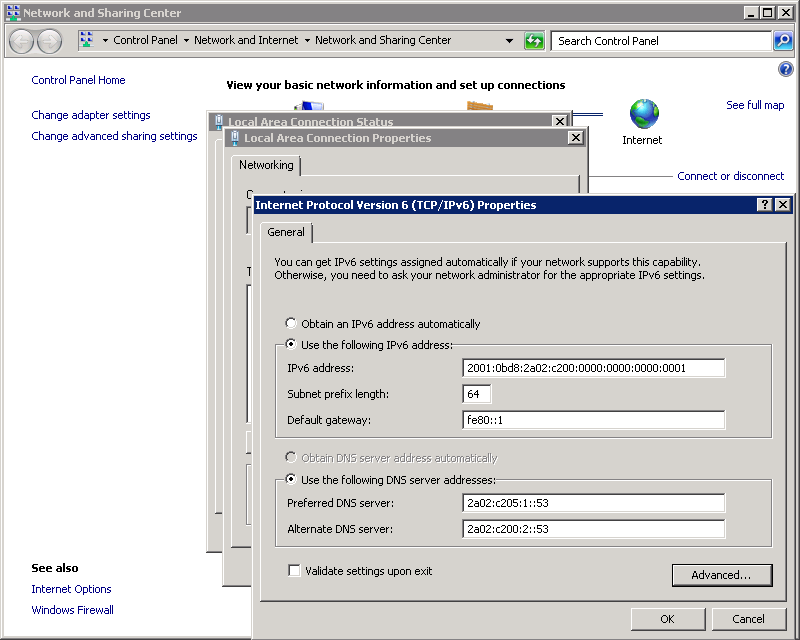 The DNS server responds to all configured IPv4 and IPv6 addresses. 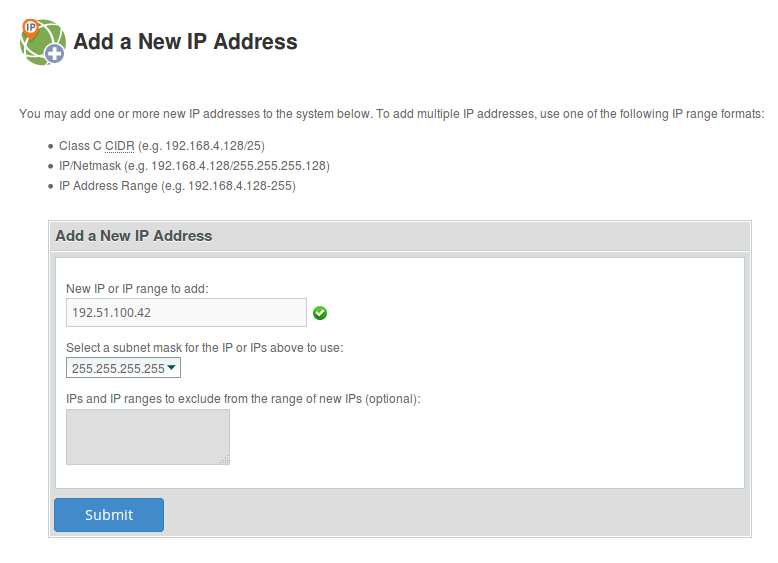 You can use different IP addresses for your nameservers than for your websites. 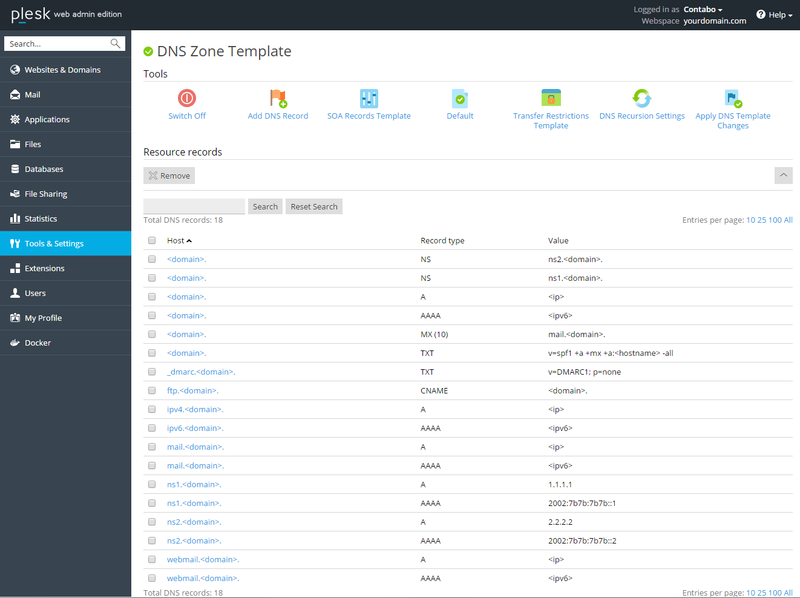 All DNS zones in Plesk will be configured based on a DNS template. You can find the settings at "Tools & Settings" - "General Settings" - "DNS Template". In the DNS template you can configure all entries you need for all domains on your server. 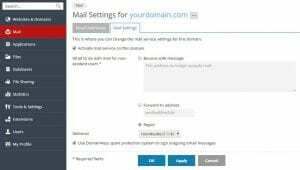 Beside some default entries and entries for internal services like webmail, the settings for the nameservers can be found here. By default Plesk creates two nameserver entries "ns1.yourdomain.com" and "ns2.yourdomain.com", but with the IP address of your domain. If you want to use the same nameservers for all your domains, we recommend to change the NS entries and the IP addresses of your nameservers in the template. If you want to use different nameservers, you can also change these settings later in the DNS zone of your domain. After you have finished the configuration of the DNS template, you will need to apply the DNS template to all domains. 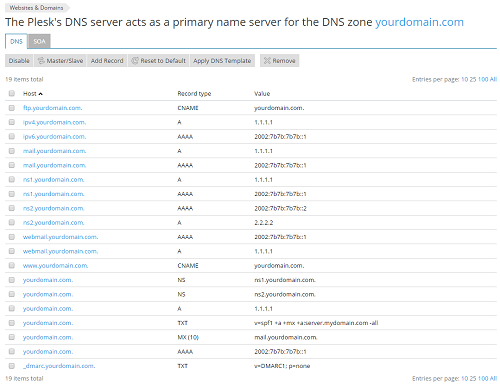 Now you can see the new settings also in the DNS zone of your domain. 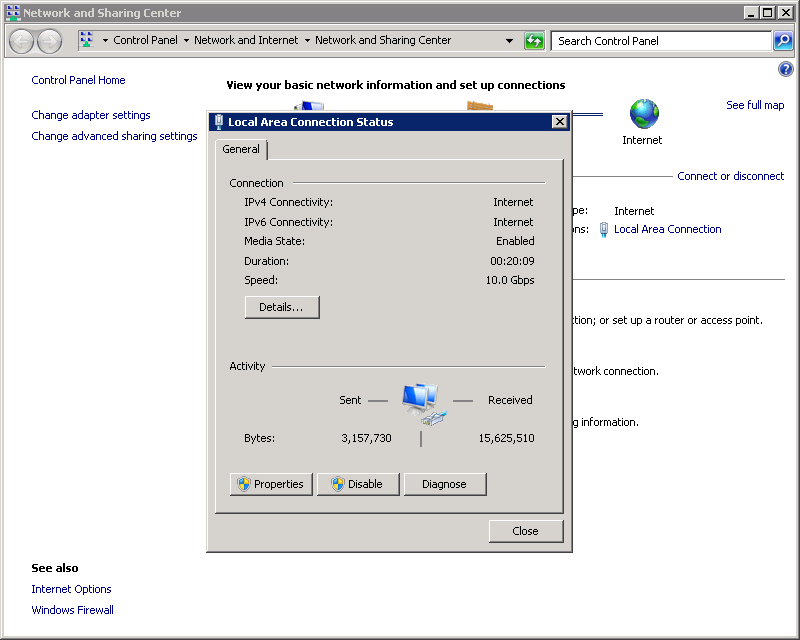 You can manage the DNS zone at "Websites & Domains" - "yourdomain.com" - "DNS Settings". There you can add, edit and delete DNS entries. 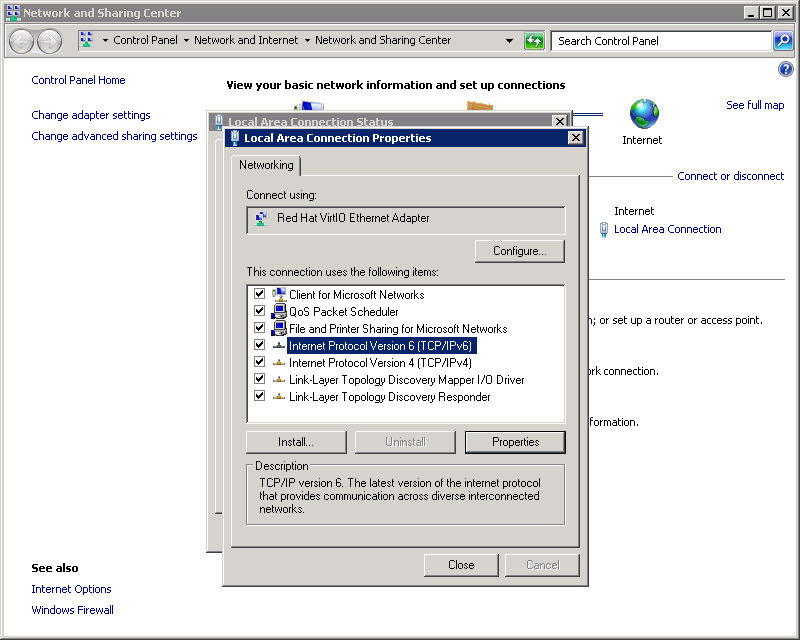 At last, you will need to configure your domain settings at your domain registrar. You need to change the nameserver entries. 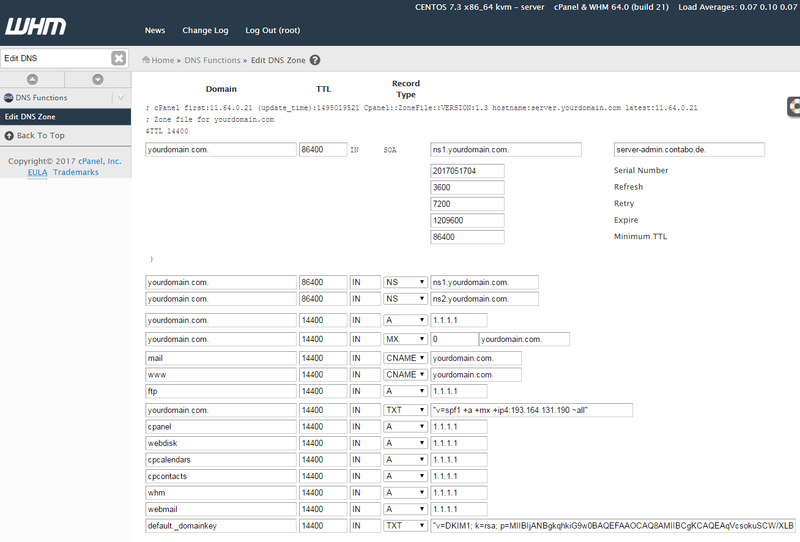 If you want to use subdomains of your domain, for example "ns1.yourdomain.com" for your domain "yourdomain.com" as your nameservers, you will need to configure so called "Glue Records". This means, the domain registrar does not only save the name of your nameservers, but also the IP address. 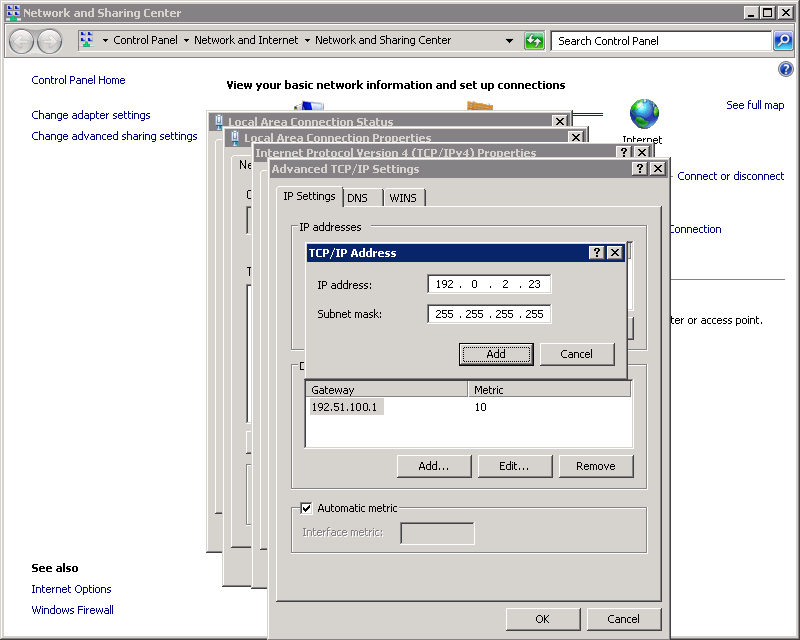 In some cases it is required to configure the new IP addresses at your current DNS zone of your domain. After you have finished the configuration, it can take up to 24 hours until the new settings are propagated correctly. To test your nameservers and the name resolution for your domain, you can use tools like intoDNS. This tool will test the settings at your DNS provider and your nameservers. DomainKeys and DKIM can help you to increase the reputation of your e-mail server and preventing others to manipulate or fake your e-mails. 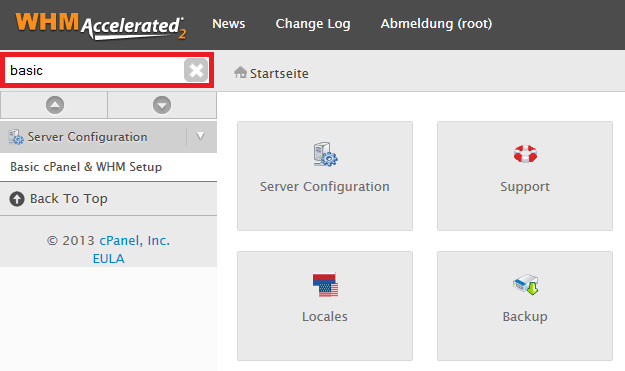 In this tutorial, we want to show you how you can activate this feature in cPanel and Plesk. 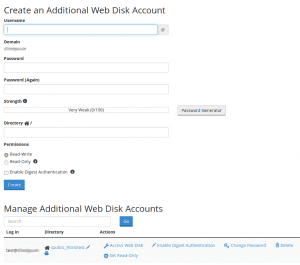 Firstly, we have to clarify that Plesk allows you to activate DomainKeys in the web interface and that cPanel is using the newer version called DKIM. Those are both quite similar in many points, but we will use those terms separately. All the images in this tutorial can be shown in a bigger version with all the details, by clicking on them. We will often use the example domain "yourdomain.com". It has to replaced with your own one, whenever it appears. 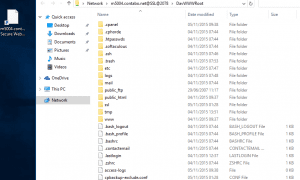 If you have your own server with cPanel and you are using it as a name server, the configuration of DKIM might be finished already. In this case, the notification will look like in this picture. If there is, as already mentioned, an error shown, you will have to translate the raw DKIM record into the final record with the correct syntax and insert it into your DNS zone manually. 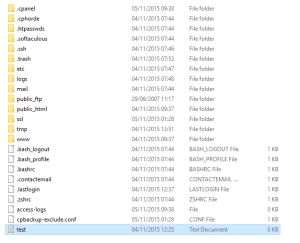 So please mark and copy the whole raw DKIM record. cPanel offers the code in a form we cannot use directly. Before we can use it, we have to remove all wrong special characters. For this purpose, we can use Notepad, which is available in every basic Windows installation. If you can see the same message, DKIM has been activated successfully. 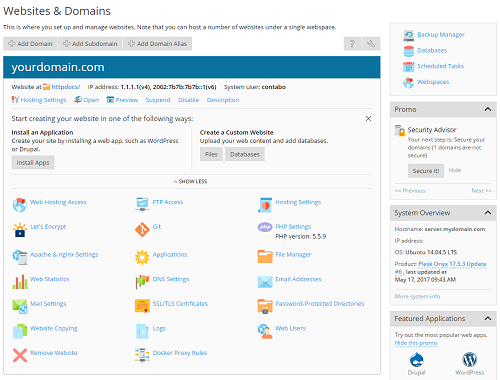 cPanel uses a new key pair for add-on domains. Therefore you can not use the DKIM record from your main domain for the add-on domains too. 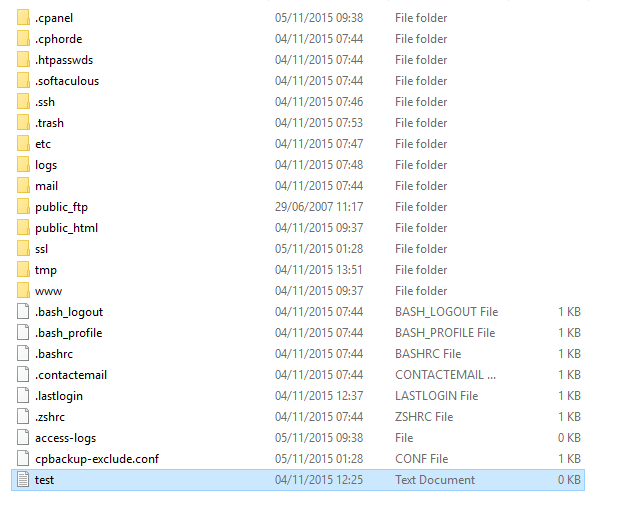 You have to extract it from the DNS zone management in WHM first, if you are not using your cPanel as DNS server. 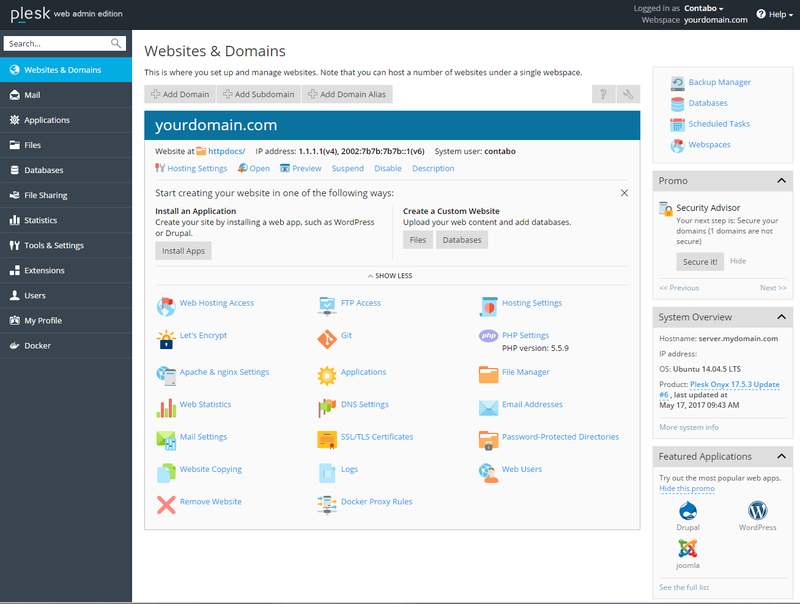 Webspace customers do not have access to the administrative WHM panel. So please just ask us for the required key. Customers with their own server have to log into WHM. There, please open the option "Edit DNS Zone" and choose your domain from the list. You should now see several records of different types. You need the one with the name: "default._domainkey". It should be there, if DKIM authentication got activated in cPanel previously. The needed key is added as TXT record on the right side. Please edit it as explained in the chapter "DKIM in cPanel". 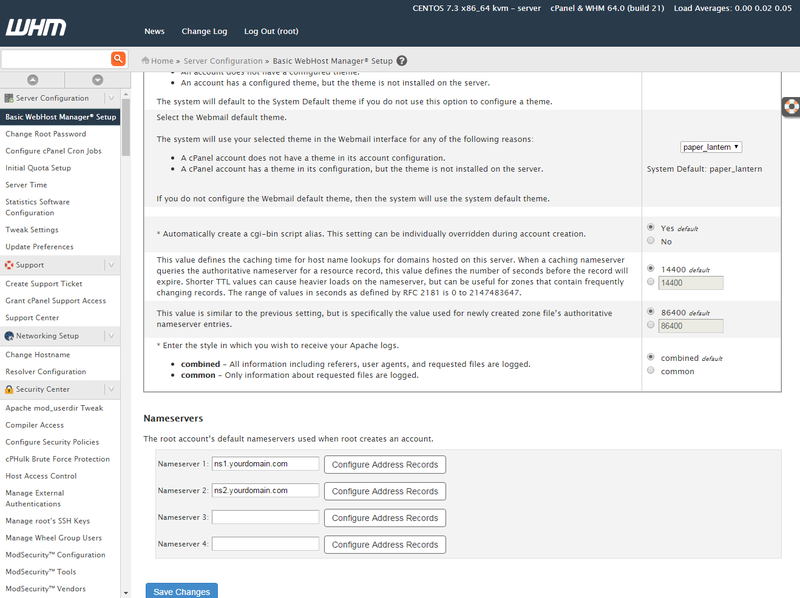 Finally, please add it in the DNS zone Management of your really used nameserver, for example the Contabo Customer Control Panel. 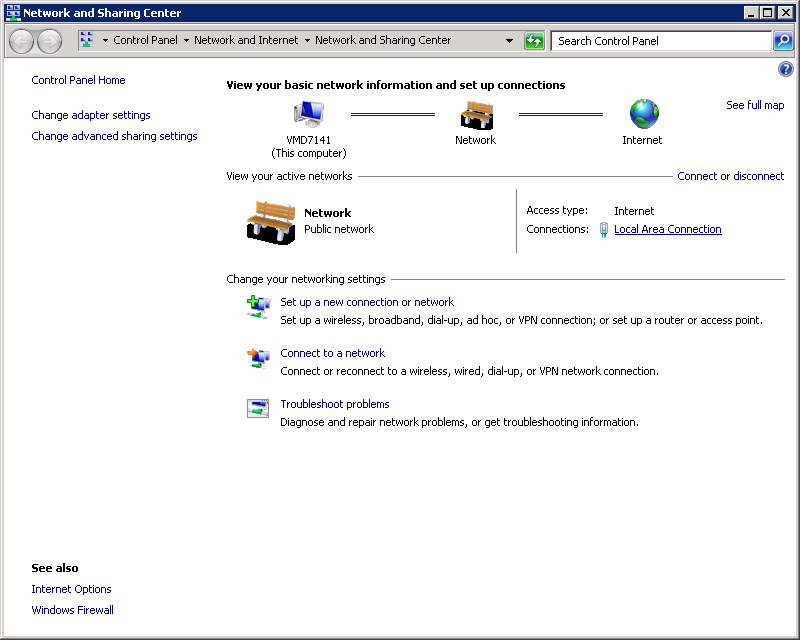 Then you can open the "DNS Settings" for the affected Domain. An additional TXT entry for the subdomain: "default._domainkey.yourdomain.com" should have appeared. If it is missing, please repeat all the steps so far, but firstly delete the tick at "Allow signing outgoing mail" in the Mail Server Settings and set it again after saving. If you are using your Plesk as nameserver, the configuration should be finished now. You should now test the configuration. 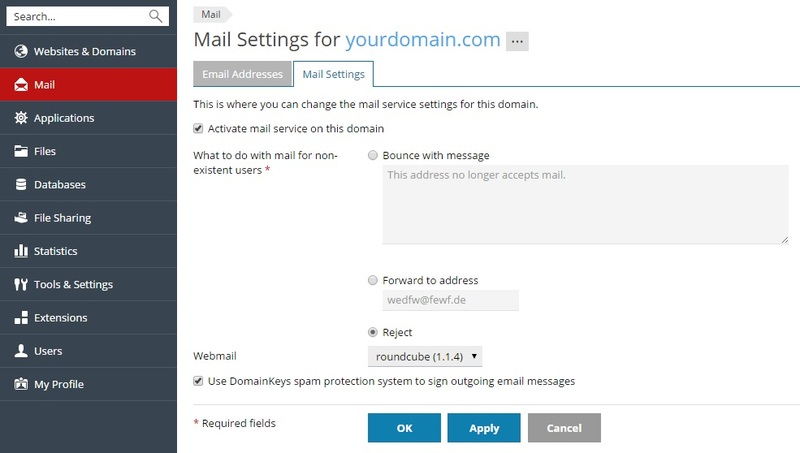 More about this step in the later point: How to test DomainKeys and DKIM. 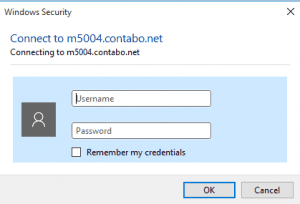 If you are using other nameservers for your domain, for example the ones provided by Contabo, you have to copy the data part completely and add an identical record in the zone there. To do so, please log into the Customer Control Panel of Contabo, go to the DNS Zone Management and edit the Domain. Please add, like in the following example, a TXT record for the subdomain "default._domainkey.yourdomain.com" with the data part generated by Plesk. As you can see in the picture, a second record has to be added. This one defines the policy, that every e-mail has to have a DomainKeys signature. Please add the subdomain "_domainkes.yourdomain.com" with the TXT record: "o=-". With this last step, the configuration of DomainKeys has been finished. To ensure that everything is working perfectly, you should do a test now! A good way to test a DKIM or DomainKey configuration, is the DKIMValidator. After opening the site, you can see a randomly generated e-mail address. Please write an e-mail from your server to this address and, after a few seconds of waiting, open the analysis report with the button "view results". With Strg + F, you can search the site, which gives you a lot information. To check if DomainKeys and DKIM are working, search for: "result =". If it reads "pass", everything is working fine. If there is a "fail" you should start a search for the cause. If you are stuck at some point, you can contact us anytime under the e-mail address support@contabo.com. Our team of experts will stand by your side to get it working!